After careful analysis, a California veterinary hospital concluded this week that an animal believed by police to be a "weird-looking cat" is, in fact, a normal-looking seal. Staff at The Marine Mammal Center first learned of the oddly flippered feline on Wednesday, when officers passed on reports of a baby seal "flopping around in the bushes" in Hayward, California, three miles inland from the San Francisco Bay. 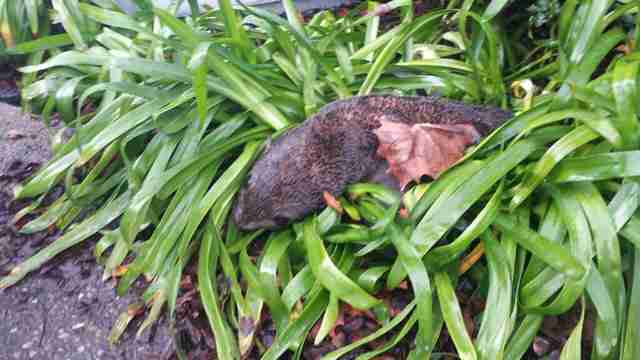 "We were thinking it was probably a possum or weird cat but the caller insisted it was a seal," wrote the Hayward Police Department on Facebook. "Well lo and behold it was a seal!" A Center spokesperson confirmed that finding, telling KRON-TV, "[We] were able to identify him as a male northern fur seal pup called 'Pipester' who had previously been in the Center's care for malnutrition." The Marine Mammal Center is now treating the strange sea kitten for dehydration and plans on releasing him to the wild soon. On social media, police defended their initial confusion. "Sometimes when people call to report an incident, the things they are telling us aren't exactly what is occurring," wrote a Hayward Police spokesperson. "After all, how could a seal come from the water, cross I-880 and be on the east side of Hayward?" 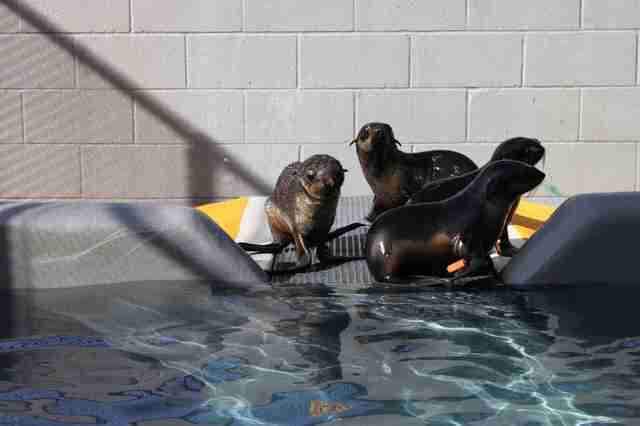 To learn more about helping California's weird cats, visit The Marine Mammal Center's website, here.